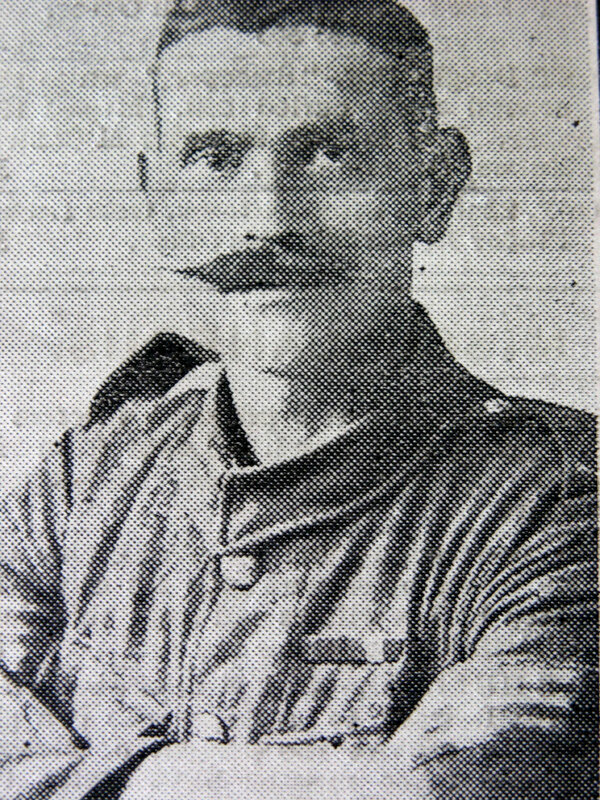 Sergeant William Robert BRIDGETT. 3/8605. 6th Battalion the Yorkshire Regiment. Son of James and Matilda Bridgett, of Tamlaght, Co. Tyrone; Husband of Esther Bridgett, of 41, Victoria Rd., Darlington. Killed 12 December 1915. Aged 37. Born Tamlacht (Co. Tyrone), Enlisted Middlesbrough, Resided Darlington. Sergeant William R. Bridgett was the second son of James and Matilda Bridgett, Tamlaght, Coagh, later of Coagh Street, Cookstown, and husband of Esther Bridgett, 41 Victoria Road, Darlington, County Durham. William Bridgett had previously served with the Inniskilling Fusiliers during the Boer War in South Africa and his brother Alfred was killed at Middleburg, Transvaal in 1901. William joined the Yorkshire Regiment, enlisting in Middlesbrough, at the outbreak of the First World War, and married his wife, Esther, in May 1915. William was killed in action in Gallipoli on 12th December 1915.